Do you keep your toaster on full view in your kitchen, or do you hide it away in a cupboard and pull it out when you want to use it? I admit, I’ve done both. Currently our toaster is out on full view, but that’s only because I like the look of it, and it looks good with other items on display also. Madness I know. I’m sure many of you wouldn’t even consider delving into a cupboard first thing in the morning, when you’re desperate for your toast and jam. But, in my defence, I had a bit of an issue with cluttered worktops and wanted to recreate a serene, streamlined kitchen workspace, and so I hid all of these gadgets and appliances away. As you can imagine, it wasn’t long before the family were up in arms complaining about the situation and I had to compromise. Breakfast time can be a really intense time, when everyone is clambering for their food and feeling very grumpy first thing in the morning. Don’t believe the adverts where the ideal family is neatly dressed and groomed, sitting at the table gently conversing with each other over their morning tea and toast. We all know it’s really not like that. In our home it usually consists of temper tantrums, hunting for lost school uniform and tension over whether the bread is mouldy! We are often in a queue waiting for someone’s toast to be done, holding our bread ready for the next available slots. And then, inevitably, someone’s get burnt. I love the look of the brand new Breville toaster which is the perfect fit for Warburtons bread. Apparently, it toasts the bread all the way to the top – a genius idea. I for one, am not fond of the toast where the top is still untoasted and floppy. A weekend treat of white toast with butter and jam is the perfect breakfast in bed and this toaster, available in a 2 or 4 slice version, makes the perfect toast. 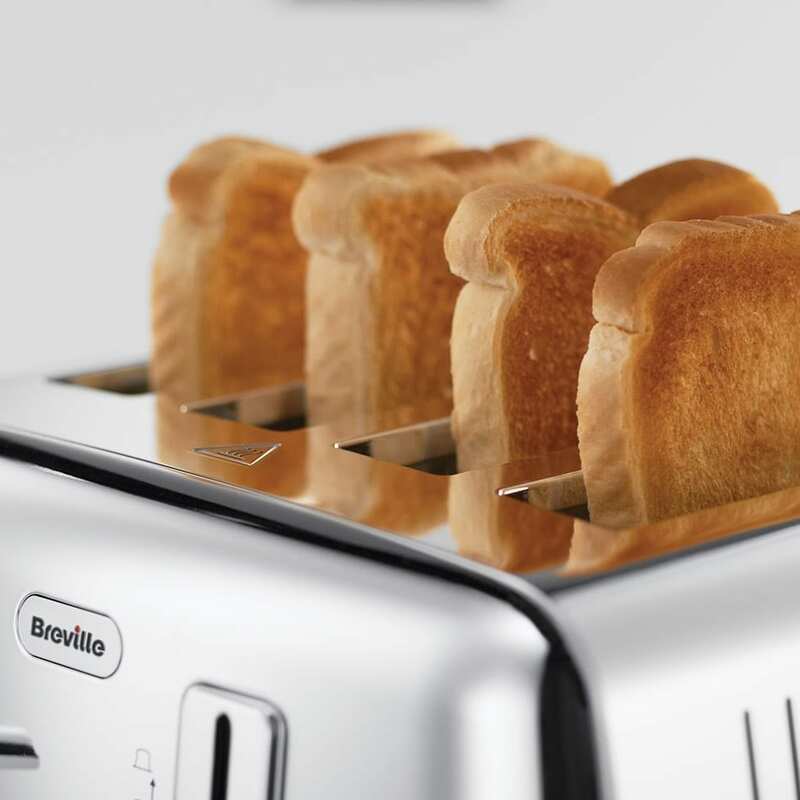 The Perfect Fit for Warburtons toaster contains deeper and wider slots that other toasters on the market, so guaranteeing flawless browning ability every time. I’ve not tried it yet but can’t wait! And, even more importantly, it looks great too with a stainless steel, stylish finish, so no more stressing about keeping a streamlined kitchen with appliances that look this good. What do you think? A toaster worth keeping out on show? Or would you still hide it away in a cupboard? The Breville toaster is available now from www.breville.co.uk and Amazon and costs £34.99 for a 2 slot version, and £59.99 for a 4 slot toaster. I have to say, I loved the streamlined clutter free worktop! However, I can see that when you are hungry, you are in a desperate need for a toast and a British cup of tea! A balance has to be struck I suppose. 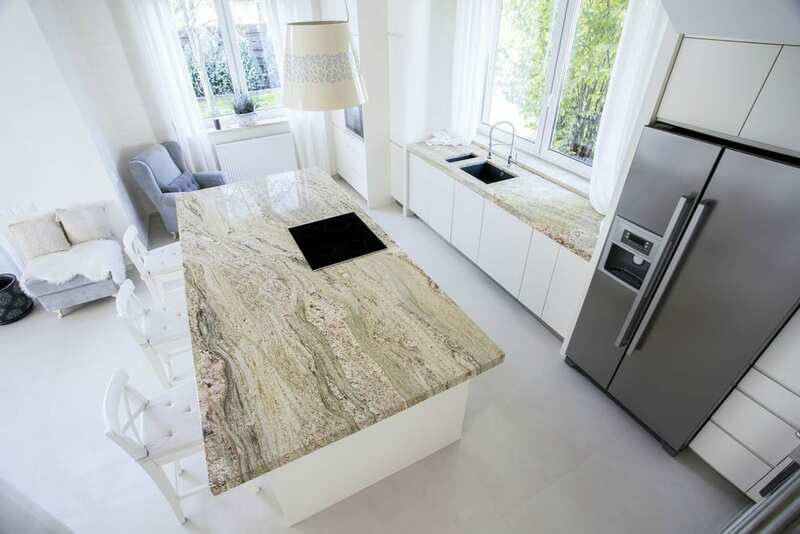 I loved the worktops, do you have a supplier you can recommend? Loved your review of toaster too. What a great invention – toasting all the way to the top. Lovely article! Me personally would definitely put a toaster on a visible place if it looks like this one. In my kitchen I have periods when I use the toaster and sometimes I don’t – then I put it in cupboard. This article made me consider buying a new one.